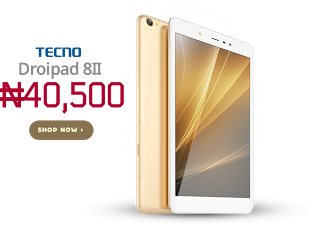 Have you been waiting patiently for the Tecno wide screen devices, wait no more because they are now available on Konga online store. Konga online store is one of the best online shopping outlet and they are trusted. This is for those that know about Konga. 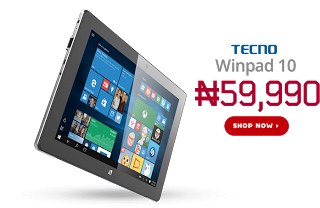 some of these tecno devices were embedded to run dual OS operating system, (windows and Android) which Tecno winpad10 operates on. 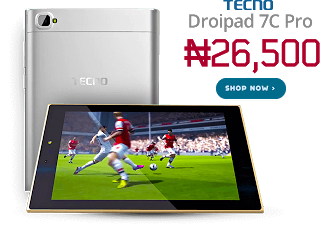 To get the devices on Konga online shopping outlet, their prices starts from N26,500, in order to get it delivered to you at your door step the day you ordered it, there is an option for that where you can choose delivery service that day if you so wish. Are you staying at Lagos, once you purchase any of the device and order for it, as soon as possible your device will get to you at your door post that is before 12noon of day. The delivery works perfect for Lagos residents. To Buy any goods on konga online shopping outlet is very easy and simple for all to use. Do you want to buy any goods from them, all you need to do is just to identify the particular device or goods you are buying, create an account with your name, email, address which the choosen goods will be delivered to etc Next thing to do, is paying with your credit card or master card.